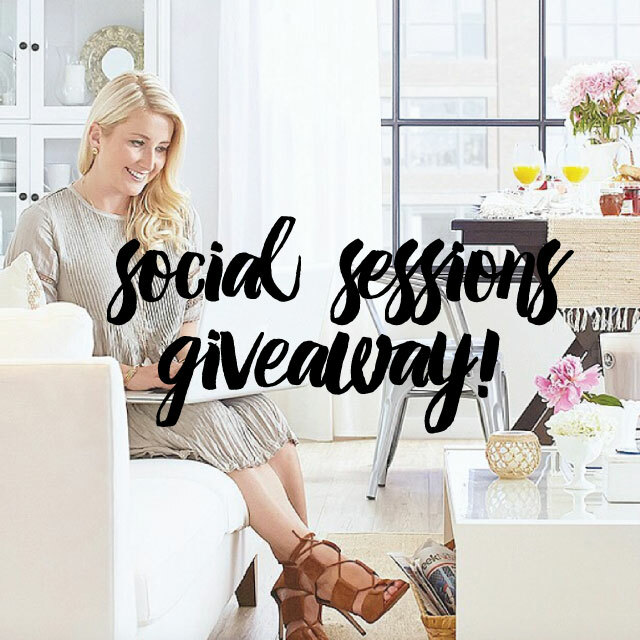 We're excited today to host a giveaway on Instagram for "Social Sessions" (a blogging and social media conference we are co-hosting with IDSwest on September 26th at the Vancouver Trade and Convention Centre at IDSwest). For those of you new here, our keynote speaker is Joy Cho of Oh Joy and we have some cool panels with bloggers such as Monika Hibbs (above photo), Jamie Derringer of Design Milk, and a tech session with Hootsuite, Issuu and Latergramme. More info on the event can be found here. The Giveaway is 1 VIP ticket to Social Sessions and 2 tickets to IDSwest opening night. Valued at over $200. To enter visit this post on Instagram at either @Poppytalk or @IDSwest!